Ph.D. in physics from SUNY-Buffalo, 1989. 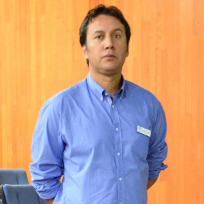 Senior Researcher at the Centro de Investigaciones en Óptica, in León, México. 30 years in the field of optical properties of materials. Member of the Sistema Nacional de Investigadores for the last 27 years, level III (maximum) for the last 13 years. Expert in the calculation of optical properties through the solution of Maxwell Equations and through ab initio methods based on the Schrödinger Equation. Edward Van Keuren is an Associate Professor in the Department of Physics at Georgetown University. After obtaining a Ph.D. in Physics from Carnegie Mellon University in 1990, Prof. Van Keuren worked for the German chemical company, BASF AG, in Germany and Japan, and also spent several years at the Japanese National Institute of Materials and Chemical Research. During this time, his work encompassed the development and characterization of novel optical switching materials, in particular those based on organic nanoparticles. He also developed a number of fiber optic light scattering methods for determining particle size in concentrated dispersions. Since 1999, he has been at Georgetown, continuing his research on the preparation and application of nanoparticles. His research focus is on both applying novel optical characterization methods to measure the nucleation and growth of organic nanoparticles in solution as well as the development of new nanoparticle-based materials for applications such as MRI contrast enhancement. He has over 80 publications in peer reviewed journals, several patents, and his work has been recognized by a National Science Foundation Career Enhancement Award, an Oak Ridge Associated Universities Ralph E. Powe Junior Faculty Enhancement Award. Dr. Jaime Ruiz García graduated as Chemical Engineer in 1980 at Instituto Tecnológico de Zacatepec. In 1989 he obtained the PhD degree in Physical-Chemistry in the University of Maryland. He was research fellow at UCLA Los Angeles from 1989 to 1992. He did several research stays at important institutions such as University of Maryland (1993), Max Planck Institute of Colloids and Interfaces (1999), Universidad de Granada (2002) and UCLA (2008 and 2016). 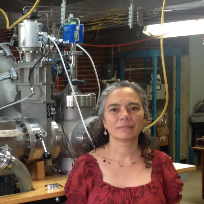 Dr. Ruiz-García is currently Researcher at the Physics Institute at Universidad Autónoma de San Luis Potosí. His research areas are focused in the study of biological systems, assembly of virus-like particles, colloidal particles and carbon nanotubes in interfaces. He is also studying individual molecules biologically relevant as, membrane lipids, DNA, RNA, proteins, virus and VLPs by FRET and AFM techniques. Dr. Ruiz possesses the level 3 in the SNI and is member of the Mexican Academy of Sciences. In 2010 the Physics Institute of UNAM, awarded him with medal Fernando Alba in Experimental Physics. In the same year, he received from the UASLP the University Award for Social-Humanistic, Scientific and Technological Research. 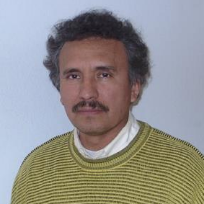 Jesús Israel Mejía Silva, PhD. Israel Mejia, received his BE in Electrical Engineering with distinctions from the National Polytechnic Institute in Mexico City in 2003. After achieving a Ph.D. from CINVESTAV in 2010, he joined the University of Texas at Dallas (UTD) as a Research Scientist for the department of Materials Science and Engineering. 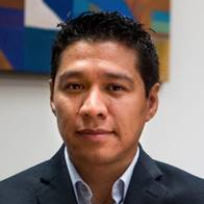 As a key link between academia and industry, Dr. Mejia’s work primarily involves leading research teams in using innovative approaches to design, fabricate and characterize semiconductor devices for implementation in novel, cutting-edge microelectronic applications, integration processes and circuits. He was awarded as IEEE Senior Member in 2016 and he has been heavily involved in technology development for startups and large multinational semiconductor companies. He is currently the Director of Microtechnologies at CIDESI hosting the Micro Electronic and Mechanical Devices Laboratory. Specialist in electrochemical analysis. She have participated in 190 indexed and peer-reviewed publications, 73 in extenso memoirs, 16 books and manuals, 25 chapters in books and, 17 investigation projects. She has submitted 10 applications for patent registration and has edited 16 books. Has directed 13 M.Sc. and 7 Ph.D. thesis. Her current research activity is related to analytic sensors/biosensors, work of great practical importance for the determination of toxic compounds in food and drinks, clinical análisi and monitoring and control of environment pollution, where 5 postgrad students participate actively. She is a Chemical Engineer with a M.Sc. in Electrochemistry from Universidad de Tecnología Química y Metalurgia de Soria, Bulgaria, PhD. 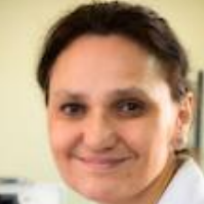 and DSc., with 42 years of research and teaching experience in Bulgaria, France, Argelia and México. She have participated as a speaker in 153 Nacional que International Congress. Member of the editorial committee of the InTech editorial (Croatia), Chef Editor of “American Journal of Chemistry", Associated Editor of “Frontier in Analytical Chemistry" and member of the Editorial Committees of “Biotechnol. Biotechnol. Equip.”, “Journal of Bioscience and Biotechnology", "Current Analytical Chemistry" and "Revista Electrónica de Ingeniería, Innovación y Tecnología" edited by UABC. She is a member of the Academia Mexicana de Ciencias. She had a research stay in France (Universidad de Tecnología de Compiègne, Universidad J. Fourier de Grenoble, Escuela Superior de Física y Química Industriales de la cuidad de Paris) and Bulgaria (Universidad de Tecnologías Alimenticias de Plovdiv). Her work has more then 1200 citations. Other activities: Responsable of the UABC's Engineering institute's Biosensor Laboratory. Michelle Digman is Assistant Professor in the Department of Biomedical Engineering at the University of California Irvine. She is currently Co-equity advisor for the Henry Samueli School of Engineering, the Co-I of the Laboratory for Fluorescence Dynamics (a P41 NIH Center) and Director of W.M. Keck Nanoimaging Lab. She received her MS and PhD in Chemistry from University of Illinois at Chicago and did her postdoctoral work at the University of Illinois, Urbana-Champaign in the Department of Physics. Dr. Digman is a Scialog Fellow and has won several awards including the Hellman Fellowship, the Fluorescence Young Investigator Award from the Biophysical Society, the Faculty Innovation in Teaching award and has received the Henry Samueli Career Development Chair. She has coauthored over 90 peer reviewed manuscripts and 6 book chapters. Her current research interest focuses on quantitative spatial and temporal correlation spectroscopies, protein dynamics during cell migration, characterizing metabolic alterations in cells and tissues, and developing novel imaging technologies. 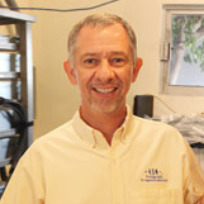 In addition to research and teaching, Dr. Digman is passionate about community outreach. She initiated the outreach program for minority community college students and outstanding high school students called Undergraduate Student Initiative for Biomedical Research (USIBR), which has been in operation since 2011. Her goals are to continue with a strong, collaborative and productive laboratory engaging in growth and development of her research group through targeted teaching, mentoring and aiding in the strategic growth of the University through service, increase diversity initiatives and collaboration. Miguel Avalos Borja was born in Cd. Hidalgo, Michoacán, Mexico. He received his B.Sc. and Master’s degrees from Facultad de Ciencias UNAM, and his Ph. D. from Stanford University in 1983. 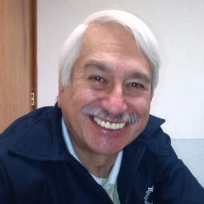 After a postdoctoral stay at the Stanford-NASA Joint Institute for Surface and Microstructure Research he returned to Mexico and was a pioneer at the very young Ensenada chapter from the UNAM’s Physics Institute. There he started from scratch building what at present is the best electron microscopy and crystallographic laboratory in the northwest part of Mexico. In 2010 he was invited to head a National Laboratory at IPICyT, position he held until 2017 when he was asked to chair the Advanced Material’s Department, at the same institution. His interests have been centered on nanoparticles and the relation between nanostructure and bulk properties. 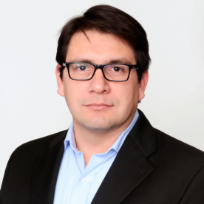 He collaborates with many other researchers from Mexico and abroad (Germany, Portugal, Cuba, Rusia, USA, etc), and has published more than 160 papers on peer reviewed journals. He is a recognized expert in the fields of crystallography, electron microscopy (scanning and transmission) and related spectroscopies (EDS and EELS). He has participated or chaired several Conacyt’s commissions like “Comisión Dictaminadora del SNI área 1”, “Comité de Acreditación de Evaluadores”, “Comisión Dictaminadora de Apelaciones”, “Presidente del Comité de Evaluación de Proyectos de Ciencia Básica, área Físico-Matemáticas”, etc. He is an Assistant Research Professor in the department of Physics and the Center for 2-Dimensional & Layered Materials in Penn State University since august 2010, with a specialty in carbon nanostructured, transition metal dichalcogenides and luminescent materials, he is member of the Sistema Nacional de Investigadores (SNI), he counts with more then 100 publications in international peer-reviewed papers, and a total of 4035 cites, h-index of 26 since 2013. His research areas are transition metal dichalcogenides, hexagonal boron nitride, graphene and other bidimensional materials, the synthesis and applications of carbon nanostructures like nanotubes, field electron emission from nanostructured materials , luminescent materials for the illumination of solid state and solar cells. In his research, he uses electron lithography techniques, and focused ion beam for the fabrication of electronic devices, thin film growth (PLD, MOCVD, PVD and Sputtering), carbon nanotubes synthesis by CCVD and FCCVD, synthesis and characterization of nanostructures and bidimensional materials like molybdenum disulfide among others. He studied Physics at Universidad Autónoma Metropolitana, Unidad Iztapalapa, in Mexico City. He later received an M.Sc. degree in Physics also at UAM-Iztapalapa. He then moved to Scotland where he studied for an M.Sc. in Optoelectronics and Laser Devices, a joint program between Heriot-Watt, and St. Andrews Universities. Later, he received a Ph.D. from Heriot-Watt University. Upon finishing the Ph.D., he returned to México to join the Department of Optics at Centro de Investigación Científica y de Educación Superior de Ensenada (CICESE), in Ensenada, Baja California México as a Research Fellow, where he is now a Senior Scientist. 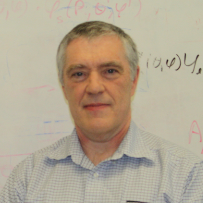 His research interests are centered in the study of the nonlinear optical properties of materials, and their possible use in all-optical signal processing devices, and in the generation of photon pairs with tailored entanglement properties, of interest for quantum information processing systems. These studies have included different kinds of materials: organic molecules, amorphous semiconductors, and more recently nanostructured materials. His work has also included the development of passive and active waveguides, as well as the study of propagation and emission effects in these systems. It also includes the development of ultrashort pulse amplifiers. 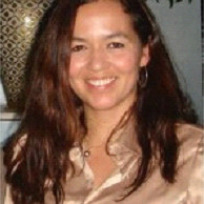 Sandra Elizabeth Rodil Posada, PhD. She obtained her bachelor degree in Physics from UNAM’s Science Faculty, same as her Master degree, for which she was awarded the Alfonso Caso Merit metal. She got her Ph. D. from the Engineering Department in Cambridge University. During this period, she specialized in the study on carbon based thin films deposition assisted by plasma, topic from where 12 reports where published during her Ph. D. studies. In march 2001, she was incorporated into UNAM’s Material research institute’s (IIM) academic personal, she begun in the main topic of investigation of amorphous carbon films. However, immediately she started her own line of investigation, starting with the study of biocompatibility and properties of osteoconduction of carbon as a possible surface modification for odonatological implants, with a tight collaboration with UNAM’s Odontology Faculty. This multidisciplinary work has been active since then, and have gain national and international in Surface Coating for Biomedical applications.